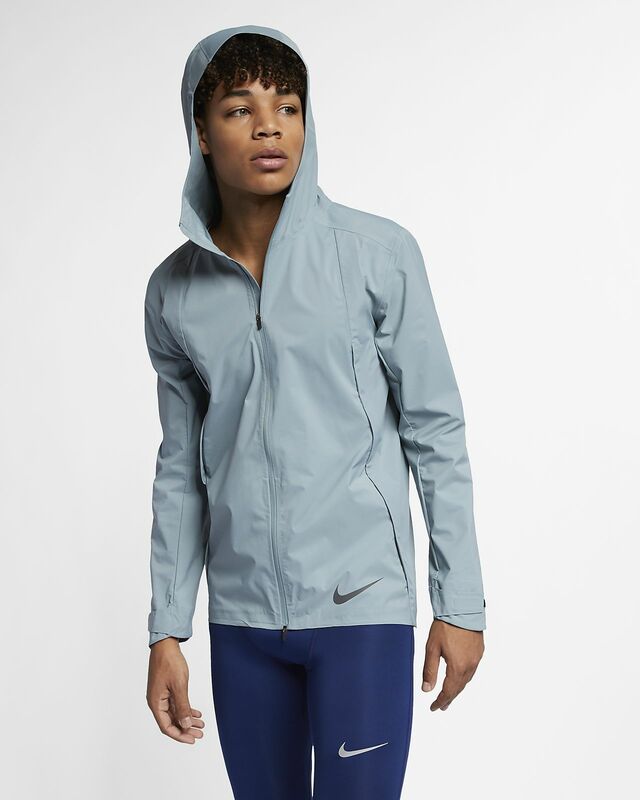 The Nike Zonal AeroShield Jacket proves that you can have breathability while blocking the weather. Strategically designed for optimal performance in the wettest conditions, it's seam-sealed in critical areas to keep out the rain. 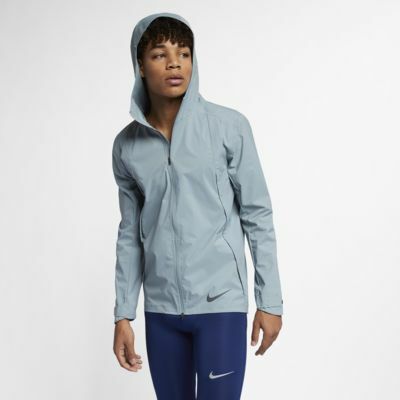 The Nike Zonal AeroShield Jacket proves that you can have breathability while blocking the weather. Strategically designed for optimal performance in the wettest conditions, it&apos;s seam-sealed in critical areas to keep out the rain. Nike Zonal AeroShield technology helps you maintain optimal performance in wet conditions. Runner-specific hood provides coverage without impeding vision. Cordlocks at the back of the hood let you adjust your fit. Zippered vents at the side of the chest provide ventilation. Zippered pockets with storm flaps help keep your items dry. Curved cuffs and longer back hem keep you covered. Fabric: Body: 100% nylon. Panels/pocket bags: 100% polyester. Have your say. Be the first to review the Nike Zonal AeroShield.